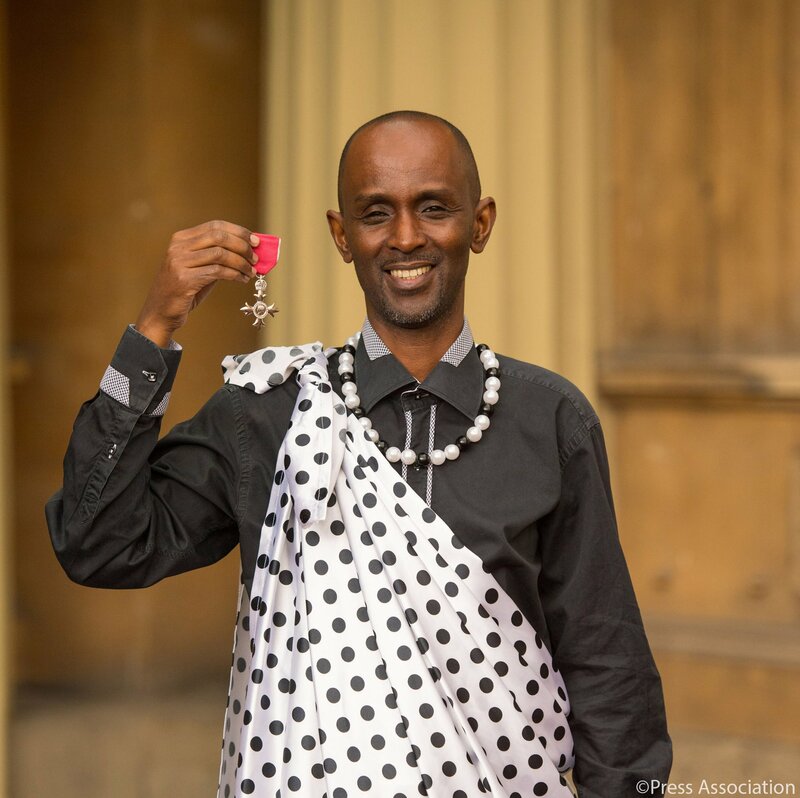 We are delighted to announce that Eric Murangwa Eugene, the founder and Executive Managing Officer of Football for Hope Peace and Unity (FHPU Enterprise) and Survivors Tribune, has been awarded an MBE in the Queen’s New Year’s Honours list for his services to the Awareness and Education of Genocide against the Tutsi of Rwanda. This award is not just for me, it is also for all the survivors who continue to fight for justice, challenge denial and keep the memories of our loved ones alive. In 1994, Eric Murangwa Eugene and his immediate family survived the genocide against the Tutsi in Rwanda. Their survival is owed, in part, to the courage and humanity shown by his former teammates of the Rayon Sports Football Club, of which Murangwa was also a member. As a result of this, Murangwa has developed a strong belief that sport, and in particular football as well as storytelling, have the power to influence society in a way that little else does. 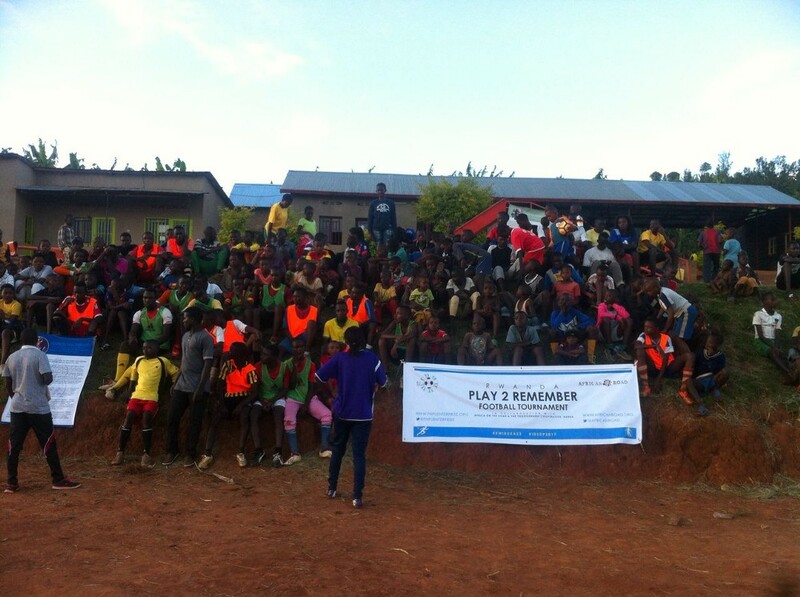 Murangwa has a mission to make sport and storytelling an integral part of the Rwandan reconciliation and reconstruction process insisting sport is not just for fun and leisure but can also be used as a tool for social change and life skills. Commenting on the news, Murangwa said: “I’m thrilled and honoured to be receiving this award but it would not have been possible without all those who have supported me along the way. I’ve had the privilege of working with an amazing network of colleagues, advisors and other supporters. This award is not just for me, it is also for all the survivors who continue to fight for justice, challenge denial and keep the memories of our loved ones alive. I am accepting this honour not only in recognition of my work to raise awareness and promote the education of the Genocide against the Tutsi of Rwanda in UK schools, but also to make sure that ‘Never Again’ doesn’t mean ‘Yet Again.’ After the Nazi Holocaust had been exposed and its perpetrators condemned, the international community declared “Never Again”. Yet tragically, deliberate attempts to exterminate an entire race of people have not been confined to the history books of the early twentieth century. Genocide has since occurred from Cambodia in 1975, to Bosnia in 1992, to my country Rwanda in 1994 and Darfur in 2003, it is clear that people did not learn sufficient lessons to prevent recurrence of these terrible tragedies. The international community has not intervened to prevent genocide nor come forward to give enough support to survivors of the genocide. Whatever the lessons learnt, survivors of genocide in Rwanda and many other vulnerable groups around the world cannot feel assured that Never Again really means Never Again. Like many other survivors of the genocide, I carry with me every day of my life the memories of my loved ones who were not so fortunate. Nevertheless I have decided to move away from the horror, and instead focus on the contribution my own life experience and that my country can make to society both here in Britain and around the world. I want to use education and awareness to change the world for the better and this is what I have been doing for a number of years through the power of sport and storytelling. Let me just say this, it’s not an overstatement to say that the example of courage and humanity shown by my beloved Rayon Sports teammates who sheltered and protected me during the 1994 Genocide against the Tutsi in Rwanda was a very powerful lesson for me and, in essence, the inspiration behind my vision and drive, for everything I do today. I want to dedicate this honour received today to these ordinary people who happened to be incredible human beings, acting with courage and humanity that most people inside and outside Rwanda lacked, at a time when people needed it most. They taught me what it means to stand up for what is right. 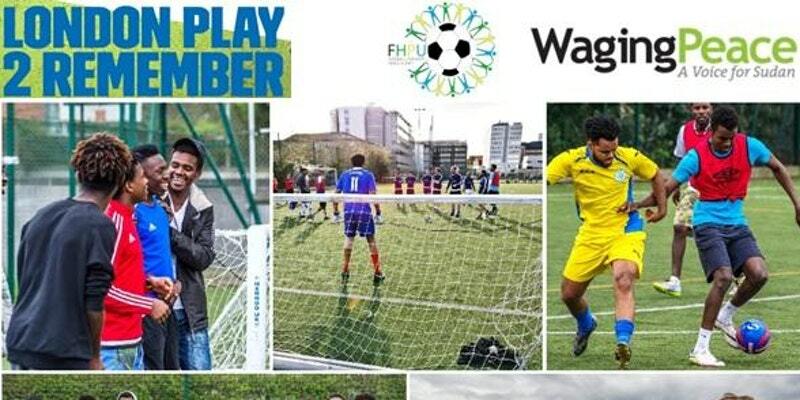 In 2015, following FHPU’s success in using sport as a tool for social impact, and in educating young people through its off-field genocide awareness activities, I and my colleagues decided to embark on a fresh challenge to establish a new and sustainable platform designed for storytelling. We have since been able to assemble more than 20 dynamic speakers who each have incredible life stories to share, and in the last eighteen months alone, we have visited 25 schools and reached over 5000 students. Our flagship programme is called Survivors4Schools and it enables survivors of modern genocides and other global conflicts to share their experiences through public speaking events in schools, colleges, and universities. Our aim is to be the flagship organisation that offers a structured pathway for survivors to attain new meaning in their lives. Crucially, in doing so, survivors are themselves empowered as they take on the task of empowering future generations. This interdependent and symbiotic initiative helps rebuild survivors’ lives, whilst knocking down the prejudices and artificial social divisions that sit at the epicenter of what drives people’s fears, anxiety, and hatred. 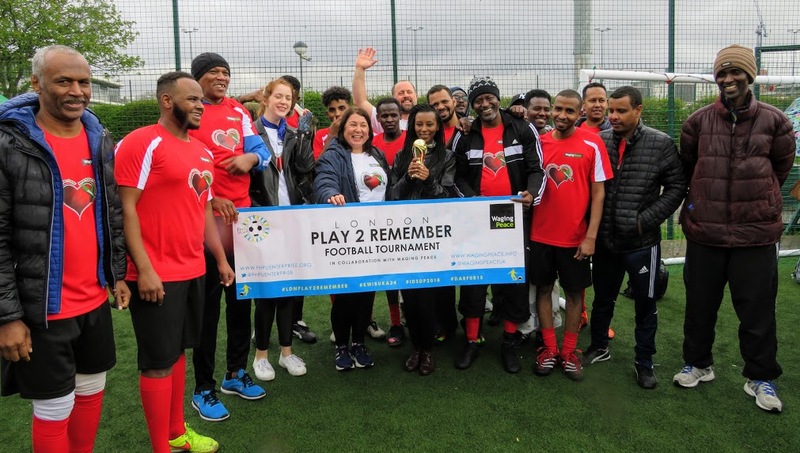 When I came up with this new initiative my hope was to continue building networks capable of providing support for those who need it most, and to strengthen and contribute to the notion of “giving back”, by focusing on the contribution we, the survivors and migrant community, can make to society in Britain and beyond. Looking back to what we have achieved both at individual and community level I can say that the impact has been tremendous. 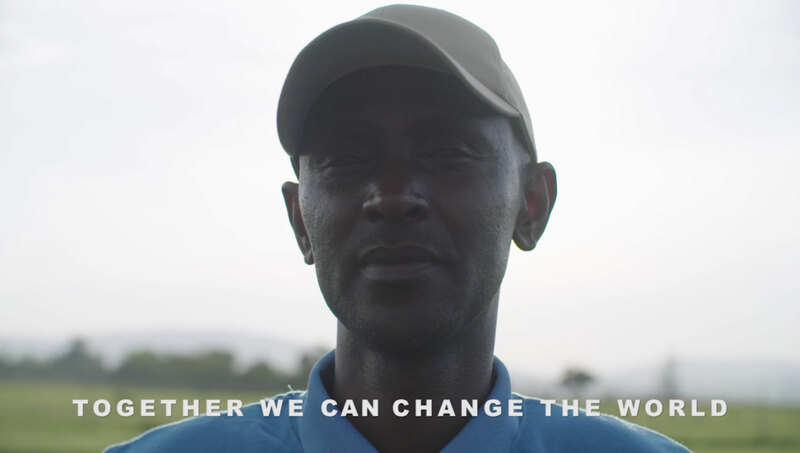 What started as just one man who wanted to use the power of sport to contribute to the process of reconstruction and reconciliation among Rwandans, has now become a much wider movement, designed not only to work with Rwandans but also with others, both from conflict-affected and non-conflict-affected communities. Our storytelling initiative is now supported by more than 20 survivors of Genocide from Rwanda and Darfur as well as other Rwandans and non-Rwandans who believe in our vision. We will soon be unveiling our new exciting plans for 2018 designed to strengthen the power of sport and storytelling to build equality, tolerance and lasting peace in Rwanda and the UK. However, having said that, I have to admit that the journey is still long and more efforts to make real change are still needed. The world doesn’t seem to have learnt much from the past, as similar cases to what happened in Rwanda in 1994 continue to happen today. You only have to open your newspaper or watch TV to see what’s happening all around the world. Today, the Rohingya ethnic cleansing and global refugee crisis are affecting millions of people, including children, and are not being dealt with in line with the responsibilities and obligations that the international community has to protect them. We have to keep working hard and making sure that we who can raise our voices for the voiceless are doing exactly that, so that those who makes decisions that affect people’s lives are constantly reminded of their responsibilities and obligations to act in the interests of humanity. I am extremely honored to receive this recognition and I hope this honour will enable me to further my mission of using sport and storytelling to make education about the 1994 Genocide against the Tutsi in Rwanda in UK schools a priority not an option.